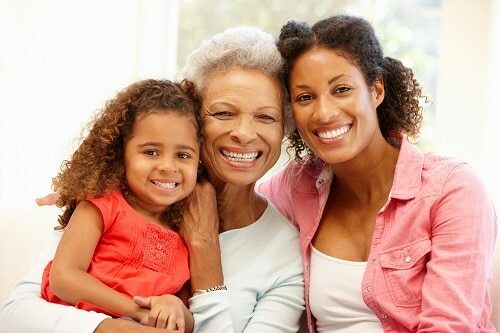 Do We Inherit Our Parents’ Dental Health? There’s a common belief that dental problems occur as a result of genetics passed down from parents to children. Many assume the appearance of a smile and someone’s overall oral health is based solely on DNA. And while for some instances that’s true, at our McLean dental office, we’d like to share with our patients just which dental issues can be blamed on genetics and which likely have another cause. Even if someone is at increased risk for any of the problems above, we don’t always have to work with what nature gave us. Cosmetic dentistry, orthodontics, and early treatment can help transform the looks and health of a smile. If your family has a history of any of the above, we encourage you to talk to your dentist in McLean. While there are definitely some parts of oral health that can be passed down directly through DNA, some are a result of behaviors. Discoloration, decay, and even gum disease aren’t problems that are transferred from the genes of parents to children, but may more so be the habits of parents passed down to children. If oral hygiene and regular dental appointment aren’t started early and made a priority, the chance for problems later in life greatly increases. If you know you’re family medical history and are experiencing some of the DNA-related dental concerns, or are at risk for them, there are things you can do. For example, if oral cancer runs in the family, avoid smoking and drinking excessive amounts of alcohol to lower your risk. Even if your family doesn’t have a history of any of the DNA-related concerns, it’s still crucial to brush twice a day for at least two minutes, floss every day, and get professional cleanings and checkups at least every six months. Having good oral hygiene and getting regular exams can lower anyone’s risk for decay, gum disease, and other dental problems. If it’s time for you to see a dentist about changing the smile nature gave you, or if you haven’t seen a dentist in awhile, give our dental office in McLean call to schedule a consultation today. We’ll help identify any concerns and work with you to fix them.